This Sunday 19th June is Father’s Day and if you are anything like me, it’s always a real tough job working out what to buy. 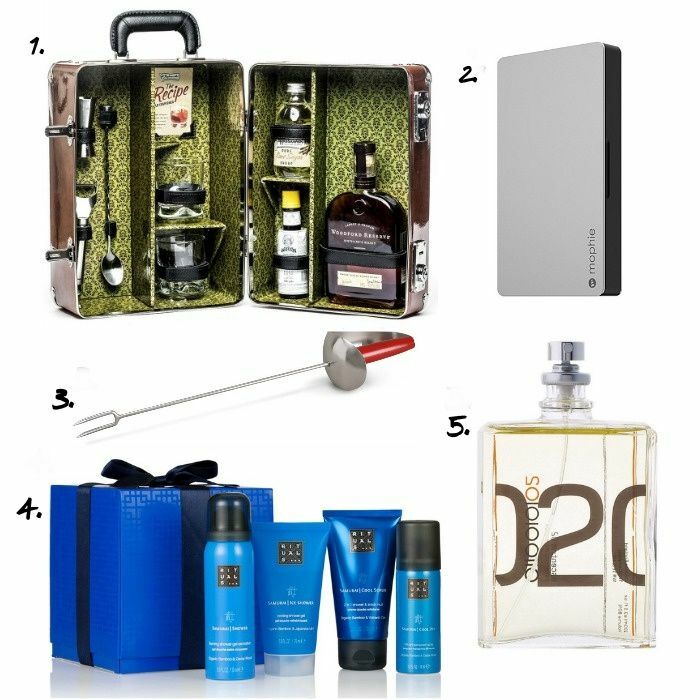 I think it’s always nice to get a gift rather than just a voucher, so I’ve trawled the net to find my top five gifts, hopefully something a little different and you can surprise Dad this Father’s Day. A great addition for any drinks loving dad. This cocktail kit comes in a leather print case and will make an Old Fashioned cocktail using Woodford Reserve bourbon, bitters, sugar and all the accoutrements you will need. If Old Fashioned isn’t his thing they also have a Martini and Bramble cocktail case. A gadget for all tech dads. Mophie powerstation acts as an external battery to charge devices and will give most smartphones a full charge up to three times. It has an integrated micro USB eliminating the need for extra cables. It does however store any cables away neatly and can be hidden beneath the hinged aluminum top cover. Does your dad think he is King of the BBQ? Well this Summer he can be, with this BBQ Sword. I just love this, I can just imagine it and it really makes me laugh. Of course it’s not just comical but practical too allowing your dad to take control of the BBQ and manage those burgers. A mini sized gift set of the Rituals Samurai collection for men. The set comes in a blue ribboned box and includes foaming shower gel, shower gel, cool scrub and anti-perspirant spray. A great pamper for Dad and under £20. Escentric Molecules embraces art meets science, each fragrance is unisex and focuses on an exceptional aroma-molecule. The other ingredients in the formula are chosen to enhance this aroma-molecule, amplifying its key qualities. 02 contains 13.5% Ambroxan (the maximum percentage of Ambroxan that can be dissolved in a fragrance compound) formula with green jasmine bud and a ‘gin and tonic’ accord. The fragrance is described as having a freshness. I’ve smelt it first hand and loved it, but felt it was more a manly scent, so Danny is now wearing this. It is also available in Molecule where it focuses on the aroma-molecule, pure and singular.